A number of crude single-shot pistols found in a bag after a group of nearby youths fled from police officers. One of the pistols with it’s striker cocked back ready to fire. 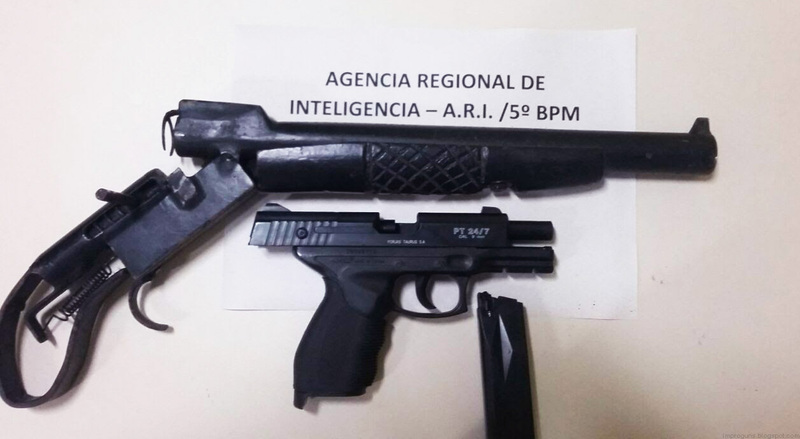 This entry was posted in Single-shot pistols, Zip guns and improvised firearms and tagged Brazil, crime, DIY, firearms, gun control, homemade firearms, homemade gun, homemade guns, homemade pistols, illegal firearms, impro guns, improguns, improvised firearm, Not 3D printed, pipe guns, zip gun, zip guns, zipgun on July 26, 2015 by ImproGuns. 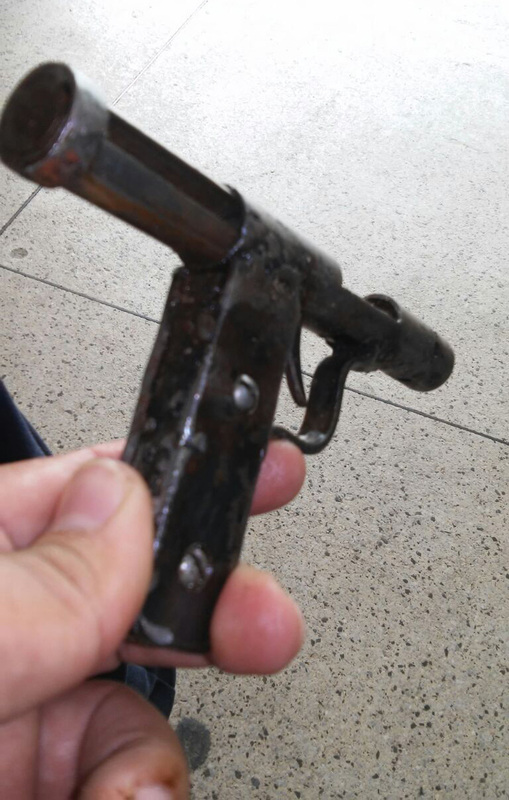 A pistol and homemade shotgun used by two youths to rob local businesses. 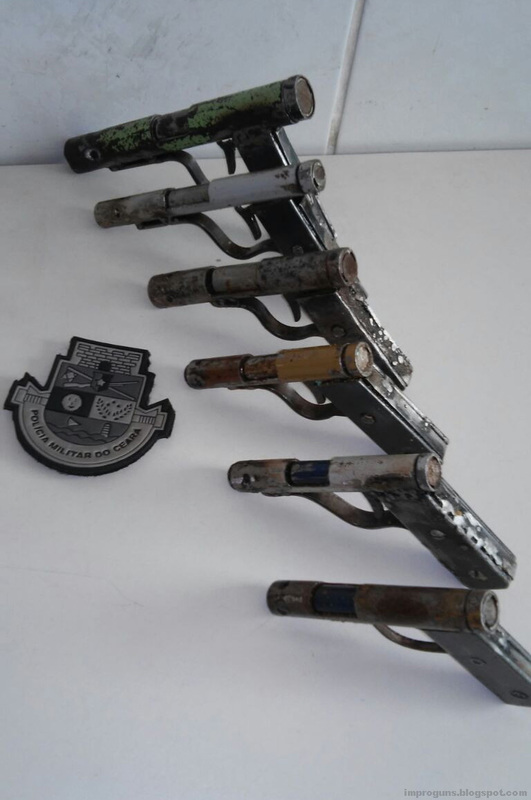 Seized upon their arrest by police in Natal, Brazil. This entry was posted in Shotguns, Zip guns and improvised firearms and tagged Brazil, crime, DIY, firearms, gun control, homemade firearms, homemade guns, homemade shotgun, homemade shotguns, illegal firearms, impro guns, improguns, Not 3D printed, pipe guns on July 7, 2015 by ImproGuns.